Happy Friday Gracelets!! I’ve been on vacation and was so blessed to get to see my grown kids. We had a bit of an eventful holiday but I’m moving on and continue to count my blessings. It seems we only have the opportunity to get together during sad occasions and we so felt we needed some family bonding time. It had not been possible before because of everyone’s work schedules but this was the perfect opportunity to get together on Memorial Day as a joyful rememberance of their Dad. We did lots of family activities and one that was so fun was an escape room. It was hilarious – our task was to break out of jail and that we did. 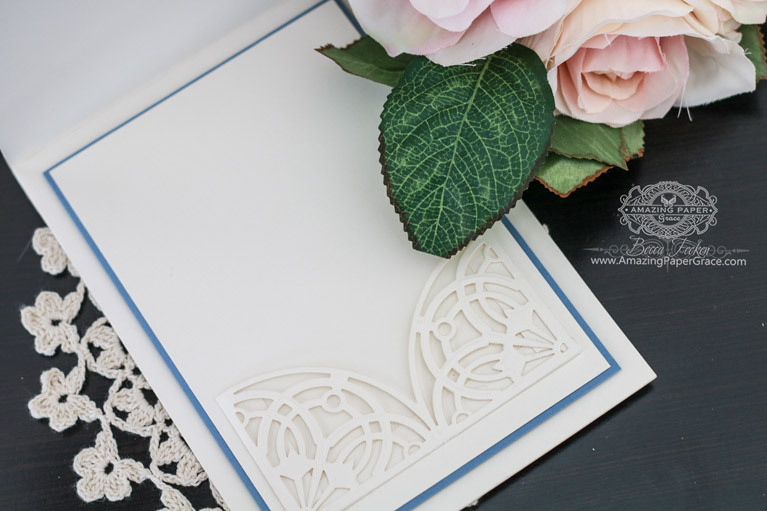 In the meantime, I worked on a card using classic Spellbinders S4-504 Arched Elegance and Spellbinders S4-503 Arched Elegance Pocket. I selected a wonderful new Quietfire Design sentiment to go along with it called The Greatest Revelation. Cards don’t get any simpler that this!! I started out with a card base 5-1/2″ x 7-1/2″. I then added a cream panel with a mat. On top of that I added two of the half circles cut from the Arched Elegance Set (adhered with a double layer of foam tape). I stamped my sentiment, cut it out and matted it with the matching colors from my card. For the inside of my card I simply added the same matted layers as I had on the outside of the card and adhered Arched Elegance Pocket to the matted layer. 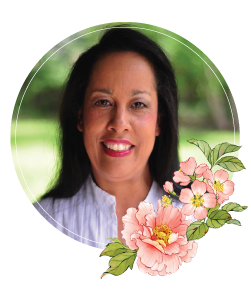 This is an opportunity to include a picture, a verse or simply another piece of cream card stock that you’ve written the contents of your note on. For new readers, every Friday it’s my pleasure to give away a card. The card goes to a randomly picked reader (worldwide) who leaves a comment in our conversation. Want to know more about Day of Giving, here’s a link to my FAQ’s just check out #11. You can check the list of winners HERE! For your comment: What’s the best family activity you’ve gotten together for? I’ve been reading your comments and wanted to thank you for all your kind words. Sweet thanks!! Good morning Becca, less is more I always say!!! Your card today is gorgeous!!! Every family get together is the best, I know this is a cop out but it’s true I love them all!!! Why is it your simple cards don’t look simple but rather, elegant?? Very nice. Very nice card! Glad you got to spend time with your family. Family time is so important. Three years ago, my sister came to Florida to have Christmas with my family. Although her 2 kids and their families were not here, it was a wonderful time and each year we go up there and spend time with them. So there really doesn’t need to be a reason – it’s just family time together. Wonderful card Becca – you do such lovely work! A few months before my husband slipped to Heaven in Oct. 2016, family got together and shared pictures and time together…what a blessing for each of us to share fun memories together! That too now is a treasured memory. As usual you´ve just made such a beautiful card here Becca. And I´m sooo glad, that you had the chance to keep up with your family, even it wasn´t the best occasion maybe, but at least you got to see each other a bit, which is good. This is the perfect card for me today because, having just used the Arched Elegance dies for my projects this week, you’re inspiring me to make a beautiful medallion as you show here. I might have thought of using the die that way, but I doubt it! As for family activity, what comes to mind is my twin sister’s athletic family played “corn hole” at a family picnic. We learned a whole other side of otherwise mild-mannered people when there was competition involved. It was pretty wild, fun and quite revealing! After quite awhile of creative drought, I’ve been bitten by the card-making bug. Enough of this work stuff, I want to stay at home and make beautiful things. The summer hiatus from my choral activities is coming at the perfect time! Many of my APG dies haven’t seen the light of day-I predict that is gonna change, soon. I so appreciate you and all the gifts you share. I love the blue on this card as it reminds me of the blue skies in the Summer. Lovely card as usual! So beautiful! Hi Becca, I always love your simple cards! This one is no exception. My family all live close so we see each other often. Some of the kids are still young, so it’s nice to see the big kids drop their electrical devices & join in on the fun. Special occassions are more special. Stunning! Those colours really give a great, simple and stylish background to the sentiment. What to choose is not easy! Maybe the visits to working farms when the children were small. They bottle fed lambs and petted the animals. I love looking at the photos! You have an amazing talent it is wonderful to see your stunning creations. It’s something I don’t think I’ll ever tire of. Look forward to Fridays every week. Thank you Becca for this cute card! This card is simply elegant – so useful. Our best ever family get-together was a week in Hong Kong two years ago. My husband was in the military and was posted to Hong Kong for three years in the 1980s, when the youngest was just 15 months old. Now everyone had partners and a very excited 7 year old daughter. We all had a wonderful time. 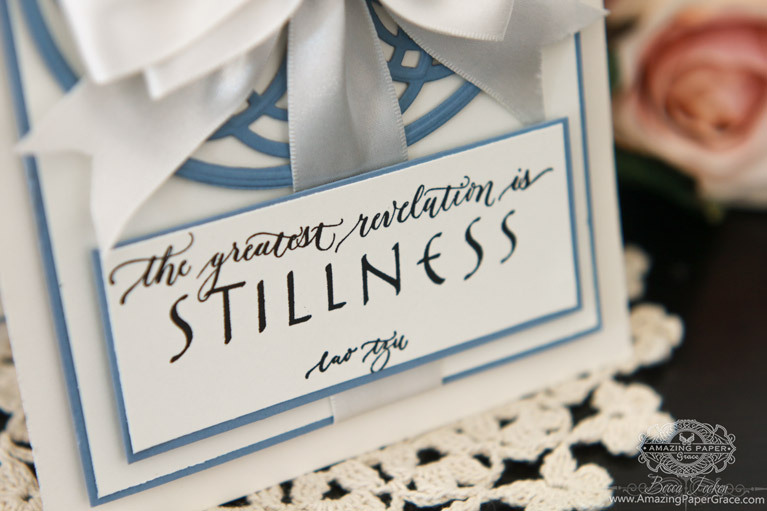 Love the simplicity of the card with the blue accents! the BOW not soooo simple !! For me anyway . I always looked forward to my children’s school vacation in fall. We went to Nag’s Head and Duck, NC meeting my husband’s aunt and her dogs. Sometimes the grandparents were along. It was just a great time to get together. When our children were young we did a lot camping for family vacations. Now as they have their own families we all go camping together. The little ones and older ones have so much fun, enjoying each other and the outdoor activities.